HPBOSE Plus Two Result 2019: Check HP Board 12th Class Result at hpbose.org. 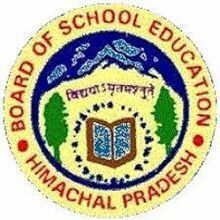 Himachal Pradesh Board of School Education, Dharamshal has released Senior secondary plus-two (XII) class Regular/Private/SOS annual Examinations results in the month of April. A huge number of candidates who are studying 12th standard in HP appeared for the examination which was held at various examination centers. All the candidates who had written the HP Board 12th class exams, are eagerly waiting for know their result. Hpbose will be declared the Hp board 12th exam results 2019 in the month of April/May. HP 12th Class Result: Every year all those state board of education department conducts the board exams for 10th and 12th students like that they can conduct the exams across many centers around the state. And those exam papers are evaluated over the experienced faculties. After completion of the evaluation the results to be uploaded in the government database and then the education board discusses about the result declaration. After finalizing the dates they can publish the result date in their official sites. In that way, this year Himachal Pradesh finished the board exams for 12th students and now they are waiting for the Himachal Pradesh Class 12 Results. Likewise, the education board of Himachal announces HPBOSE 12th results tentative weeks of May or expecting a more first week of this May. When you see the last year of results to be got declared in the month of April 30th. So this year also can have the chances of result to be declared on the end of April also. So the students can keep updated their regular information by visiting their official sites or even visit some of the trusted private sites based on that you can get the updates instantly. The students appeared in the HPBOSE 12th exam in this year will able to check your HP Board 12th Result 2019 on the tentative dates of the end of this April and also expected in the first week of May 2019. When you keep regular updates through the official sites you can get the result date without knowing late. For the confirmation of the result date to be announced on the official site but not yet announced so you can regularly check the official site or some of the trusted sites. When you see the last year have gotten better results from both the genders, so that the overall percentage can be 68% and compared to the boys the female students pass percentage to be higher. But the male candidates are overtaken in the science stream over the girls and the female candidates are lead in the arts and commerce subject in the last year. For that this year also expecting best one for both genders based on the students have liked to say about the exam reviews. The result date can be varied from year to year so that you can expect at any time for the result announcement. Students, who want to check their results first, can visit http://manabadi.com/himachal-pradesh. When you see the current years have stared many private sites for declaring the HPBOSE Class XII Exam Results so that the students have gotten the results without any rush. Even the official site also declared the result at that time the students can attain that site so that the site can be under traffic region. For avoiding such situations you can register your details on the trusted sites for that you can get the results instantly. With the help of your roll number and date of birth details you can get the result easily. Even you can receive the result through your phone or mail id for that you can register those details in trusted sites for that you can get the results instantly. After the result announcement you can get the hp plus two annual exam result as hardcopy form so that you can use as future reference but you cannot use as official manner. By entering your valid data you can get the result correctly, otherwise you cannot get it. So you can careful to fill the roll number and date of birth to get the correct result. And make to update for the result announcements. Please send me result 9882668225 , 8894969381 and roll no.1844065059 ok.